The first exhibition in London to explore the powerful Aboriginal myth of the Wandjina - the sky spirits associated with weather. All Aboriginal art is basically utilitarian. This is particularly so with paintings and carvings; over and above their decorative interest these are tangible representations of the sacred mythological past in the present, the bridge that links man with his gods. 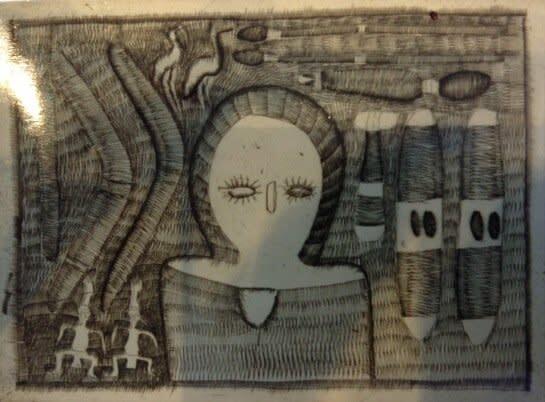 In addition, much Aboriginal art is of magical intent. One of the clearest manifestations of this connection is the Wandjina. 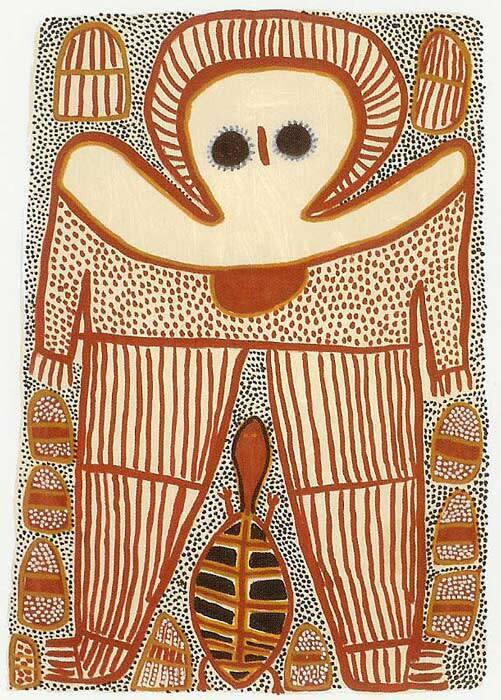 Wandjina are the ancestral spirit beings of the Aboriginal people in the Kimberley region of Western Australia. The Wandjina created the natural world as we know it and at the end of the creation period they went into a cave and lay down, leaving their outline on the rock face. 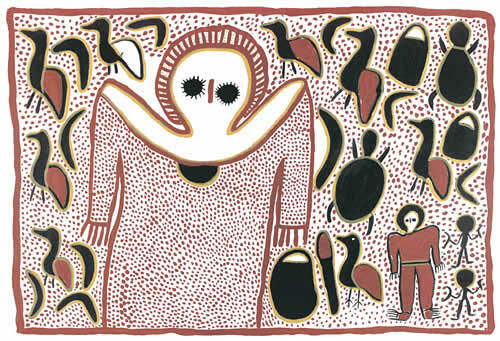 Today Aboriginal clan leaders ask the Wandjina to increase the spirits of babies, totem animals and plants and especially to make rain at the end of the dry season. Wandjina is a representative and reproductive power in nature and man. Aboriginal elders today are responsible for the upkeep of the Wandjina paintings in the caves and rock shelters of Kimberley. This is done by retouching the figures using natural ochre on the rock face. 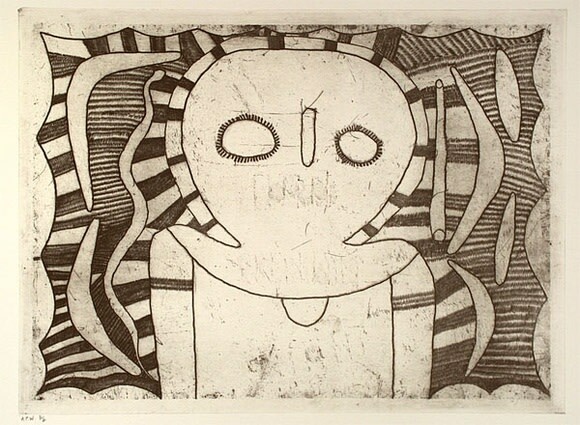 The Wandjina are depicted with prominent eyes, a thin nose and no mouth. The head is surrounded by a halo, representing both the hair of the Wandjina and clouds. It is said that if the figures were repainted with mouths it would rain incessantly. 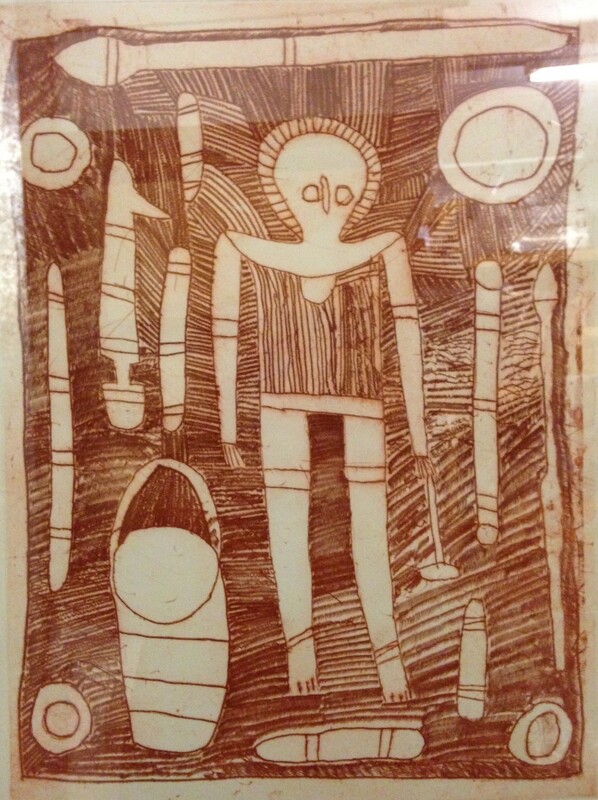 In the last two decades Aboriginal artists have translated the Wandjina images onto smaller boards and barks and most recently produced them through etchings and lino cuts. This exhibition features the Wandjina figures created by the Karedon family, who have been responsible for the upkeep of many of the caves in Wandjina country. This exhibition provides a unique opportunity to study the cult of Wandjina represented by some of the most gifted contemporary Aboriginal artists working today.